Click on the subjects below to download. The above are just free abridged versions. To get the complete Uniport Aptitude Test Past Question papers. Follow the instructions below! The University of Port Harcourt, Uniport is one of the most sort after school in Nigeria. Competition is quite high. 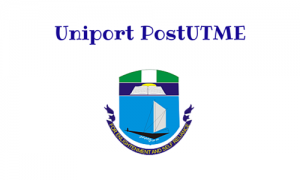 One way to boost your chance is to purchase the complete Uniport Post UTME Past Questions and Answers for just N1000. Use the free pdf sample above to study if you can’t purchase the complete past questions.